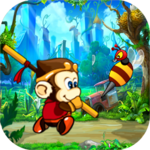 Hunter Angry Monk — Android App Listed on Flippa: "Mario Type Game" new app awesome graphics you can big money admob ad. "Mario Type Game" new app awesome graphics you can big money admob ad. "UNITY PROJECT" transfer app and full source code to winner.